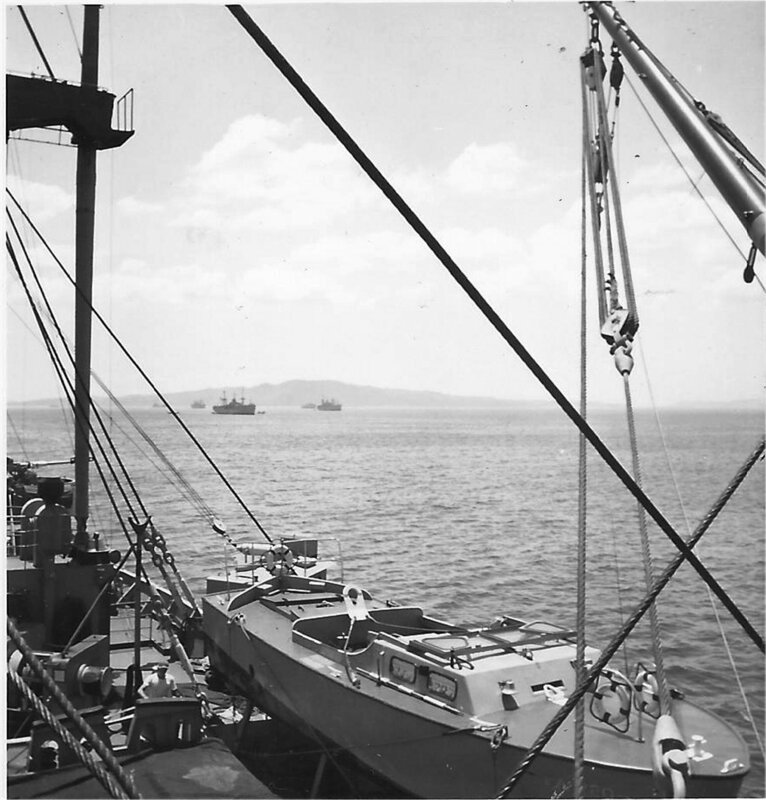 Laid down, 10 August 1944, as a Maritime Commission type (VC2-S-AP5) hull under Maritime Commission contract (MCV hull 568), at Permanente Metals Corp., Yard No. 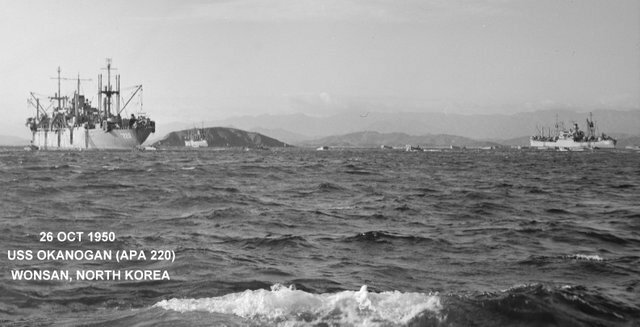 2, Richmond, CA. 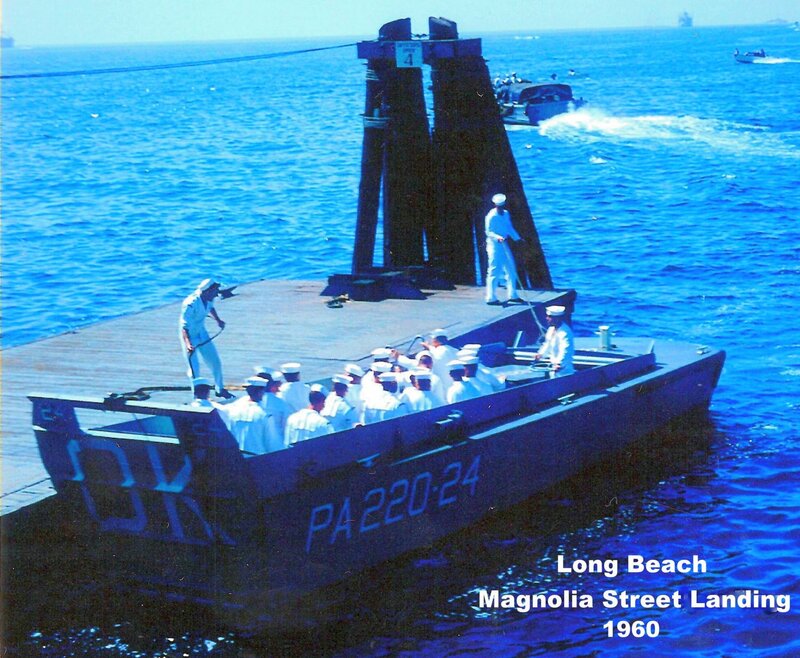 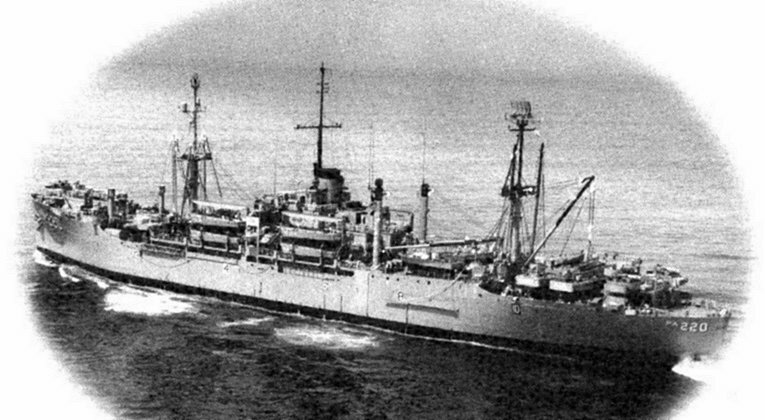 Decommissioned, 5 February 1970, at San Diego, CA. 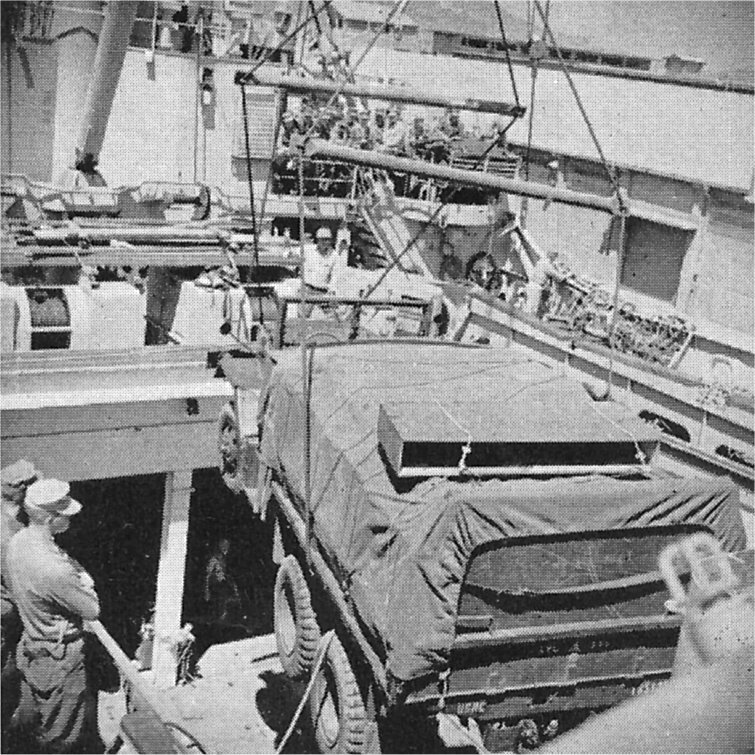 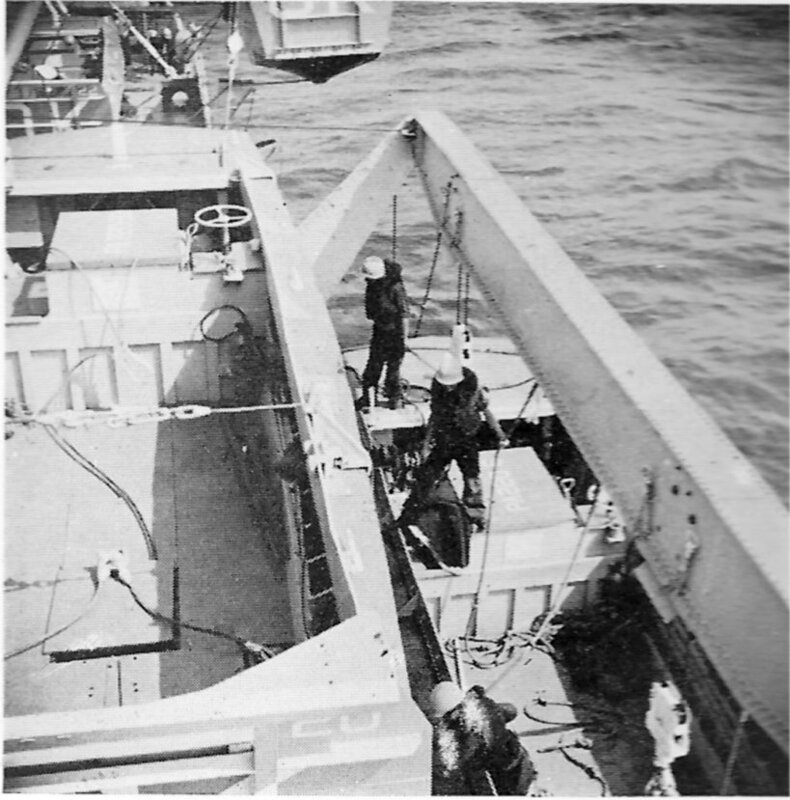 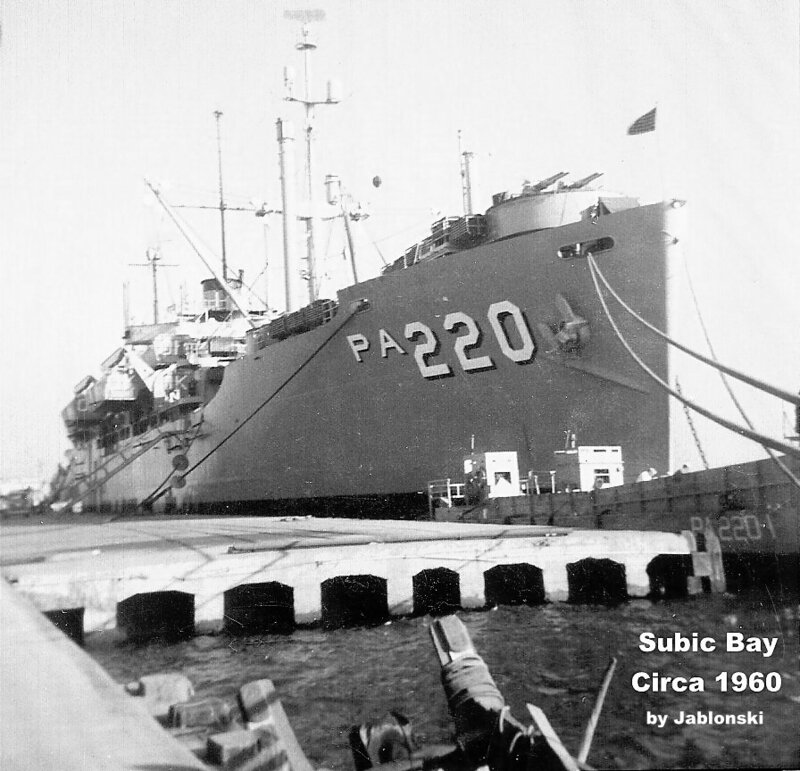 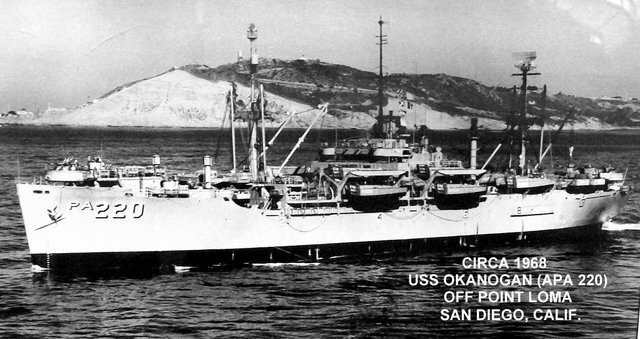 Custody transferred to the Maritime Administration (MARAD), 20 April 1971 for lay up in the National Defense Reserve Fleet, Suisun Bay Benicia, CA. 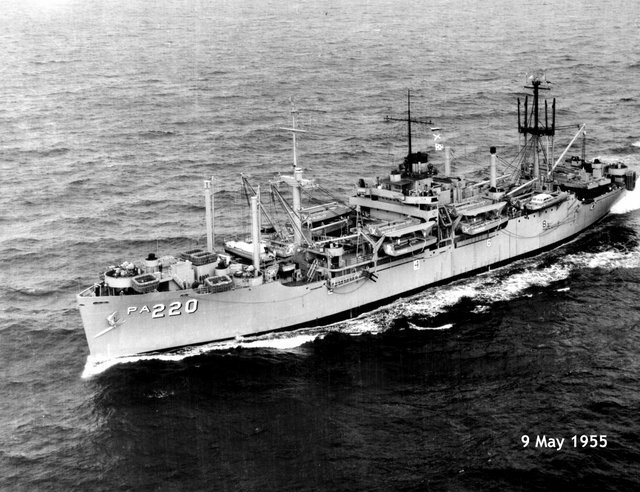 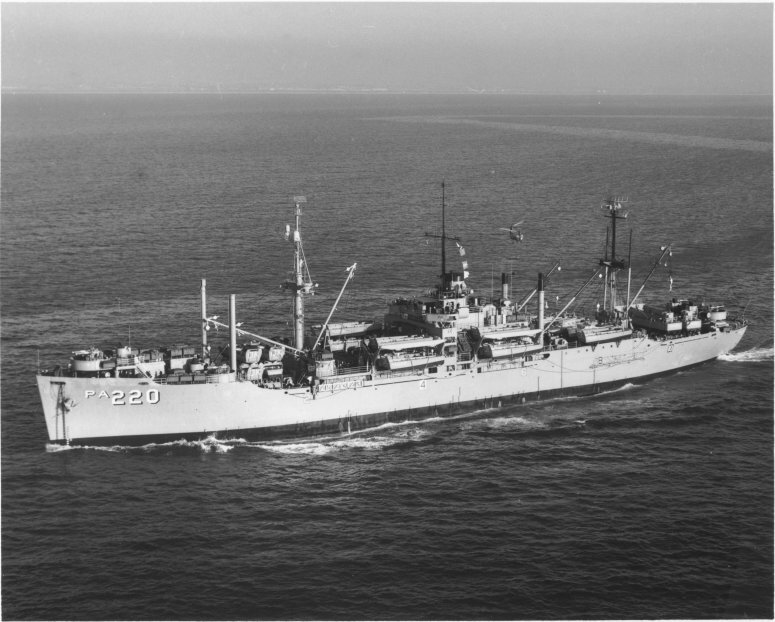 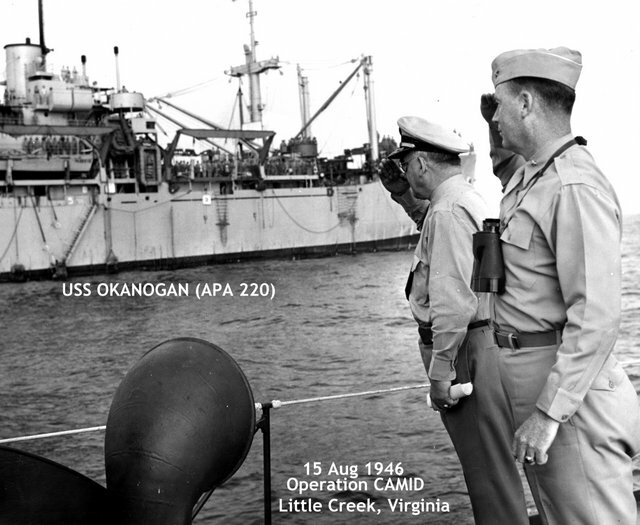 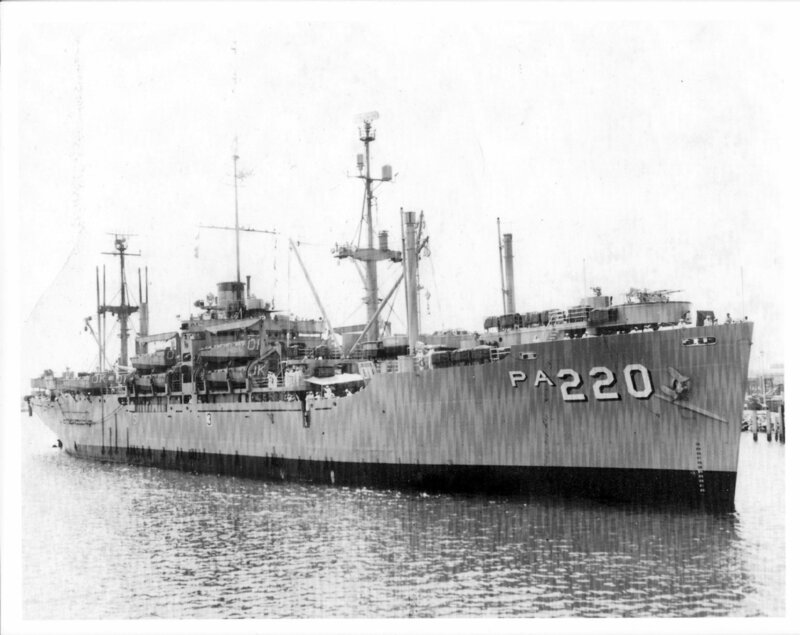 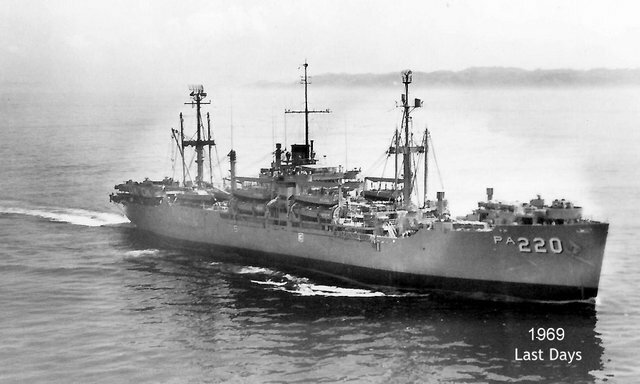 Final Disposition, sold by MARAD for scrapping, 2 October 1979, under the Trade-In Exchange program, to Nissho-Iwai American Corp.
79k USS Okanogan (APA-220) at anchor off NAB Little Creek, VA., 15 August 1946, during CAMID 1946 exercise. 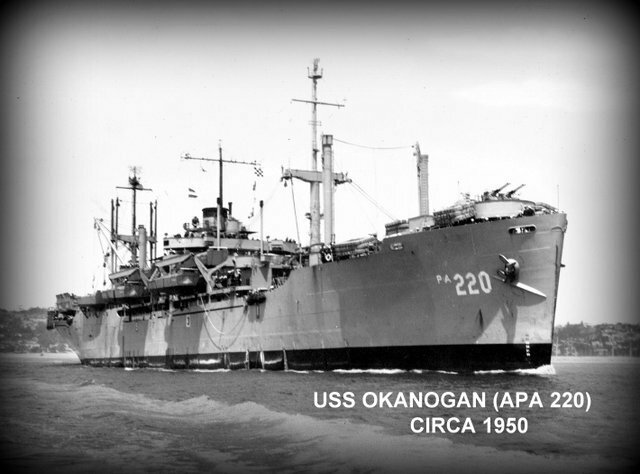 42k USS Okanogan (APA-220) at anchor in 1949, location unknown. 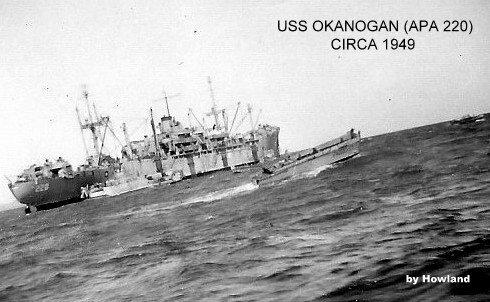 53k USS Okanogan (APA-220) at anchor far distant in 1949, location unknown. 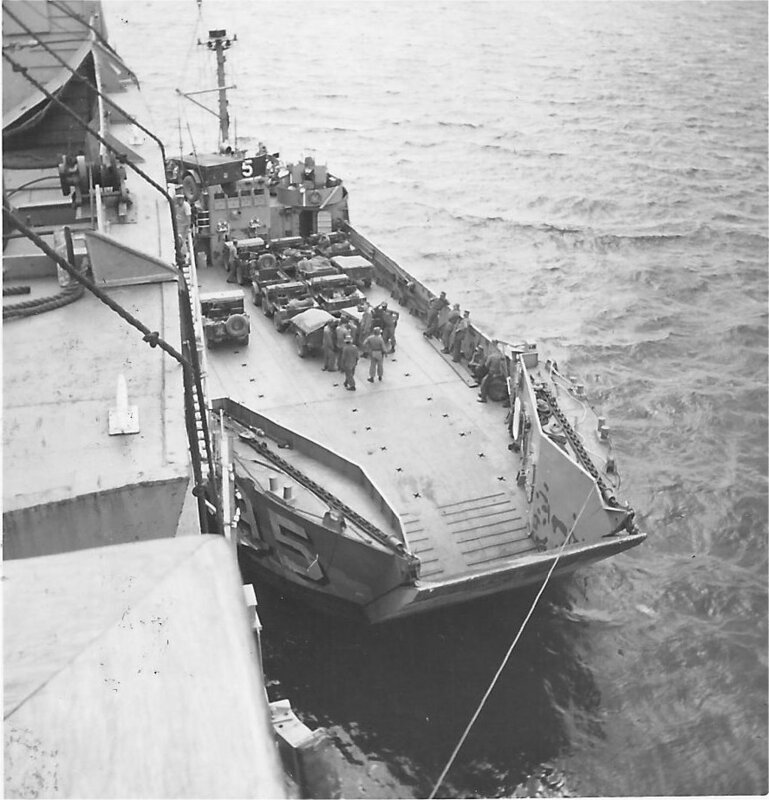 Foreground is one of the ships' LCVPs' underway. 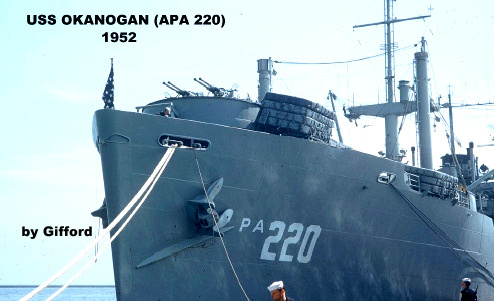 43k USS Okanogan (APA-220) at anchor off Vieques Island, Puerto Rico, 2 March 1949, during a Blue Beach assault exercise. 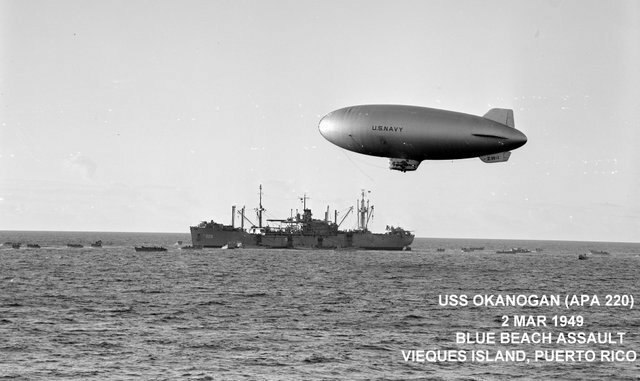 Note Navy lighter-than-air ship (blimp) overhead. 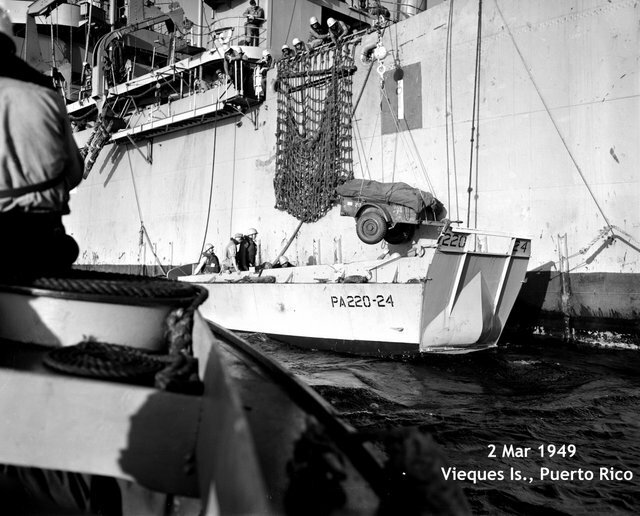 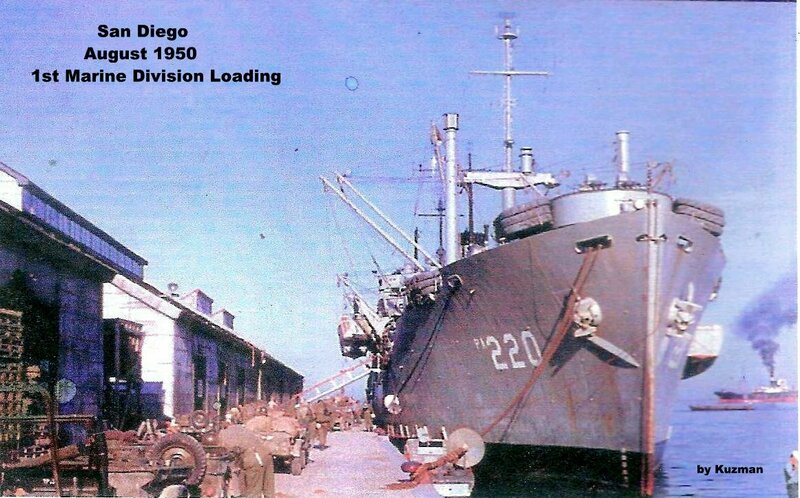 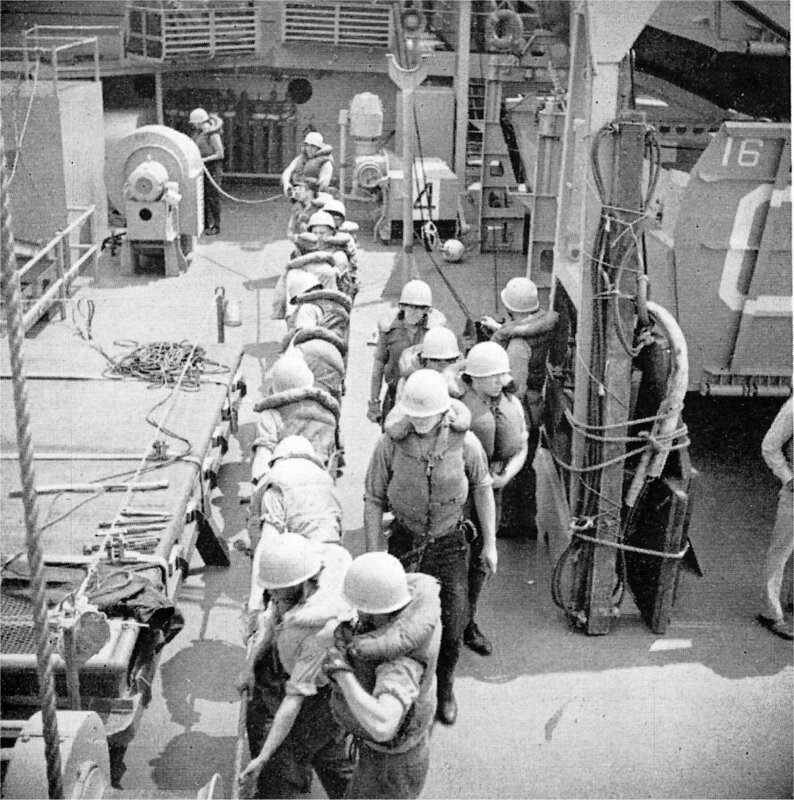 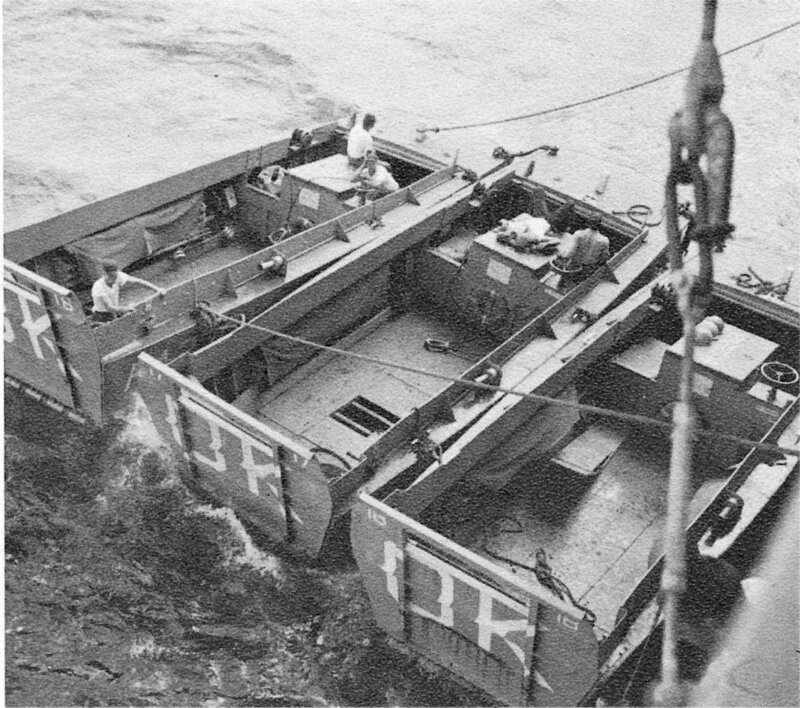 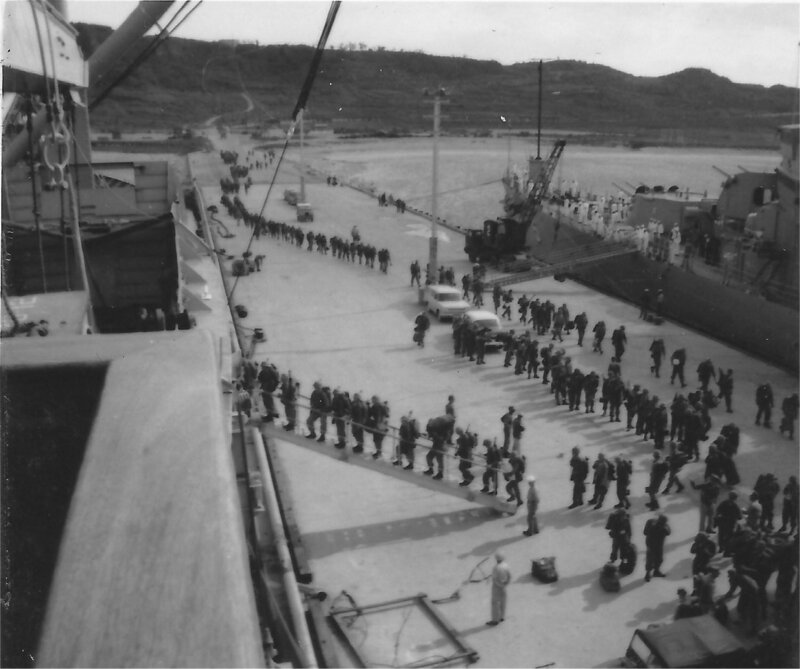 80k USS Okanogan (APA-220) at anchor off Vieques Island, Puerto Rico, 2 March 1949, during a Blue Beach assault exercise unloading equipment into one of the ship's LCVP's. 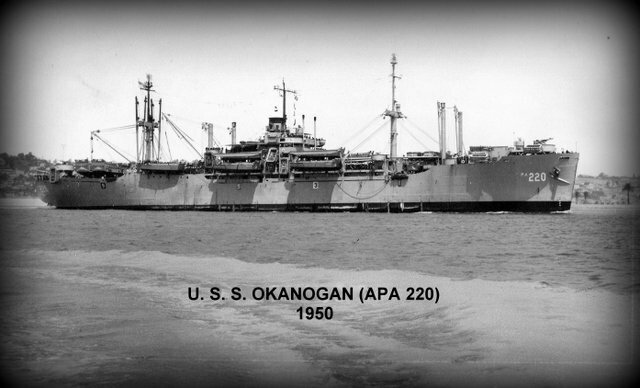 43k USS Okanogan (APA-220) under way, circa 1950, location unknown. 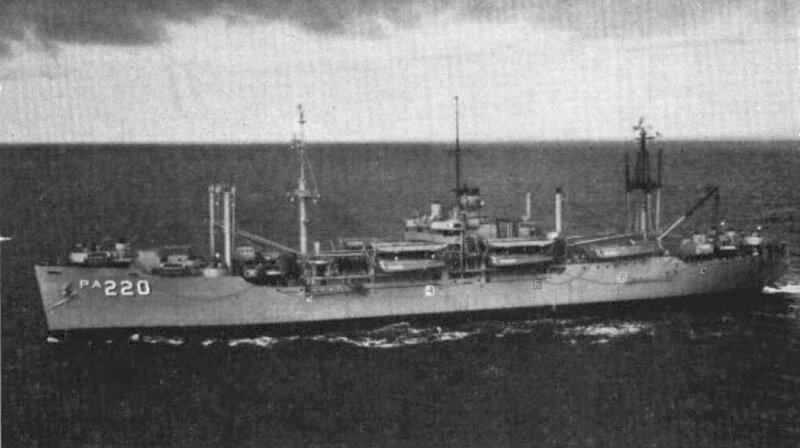 38k USS Okanogan (APA-220) at anchor off Wonson, North Korea, 26 October 1950. 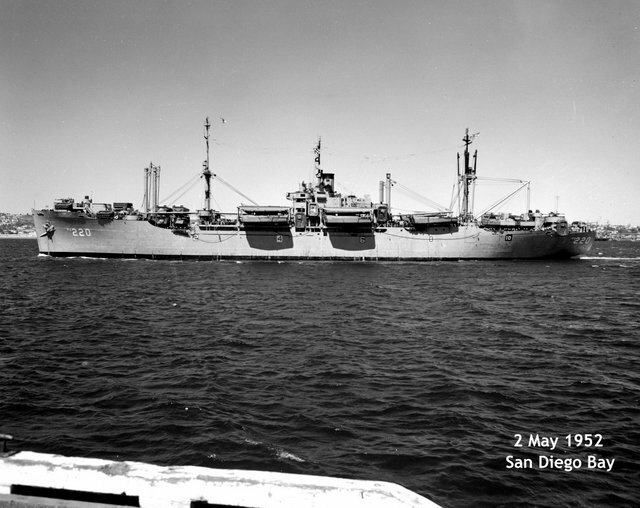 65k USS Okanogan (APA-220) under way in San Diego Bay, 2 May 1952. 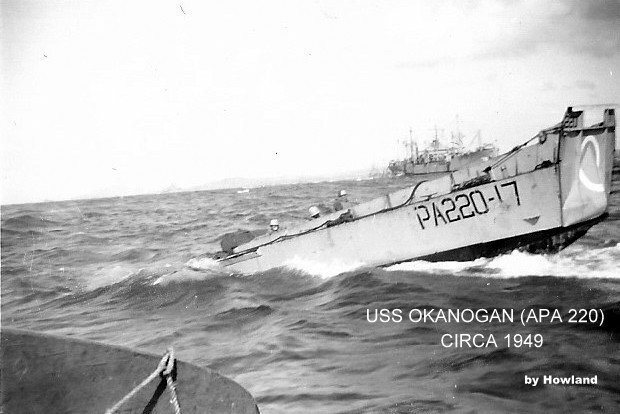 90k USS Okanogan (APA-220) under way, 9 May 1955, location unknown. 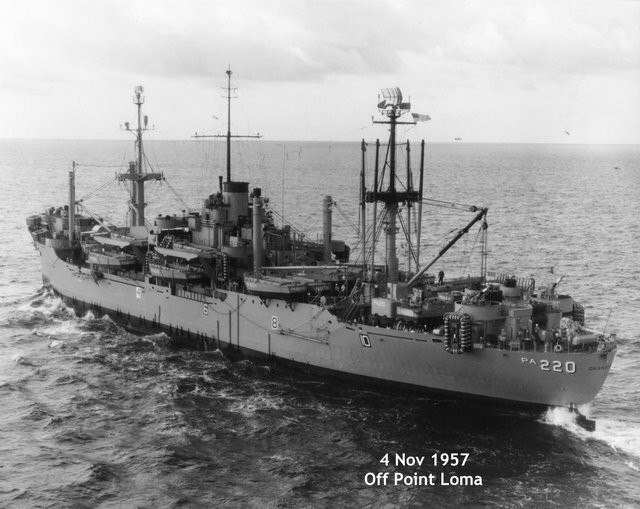 67k USS Okanogan (APA-220) outbound to sea off Point Loma, San Diego, CA., 4 November 1957. 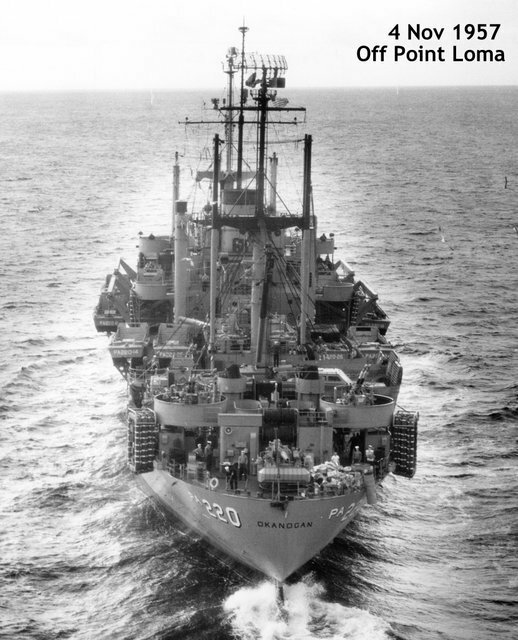 84k Two views of the stern of USS Okanogan (APA-220) while underway, 4 November 1957 off Point Loma. 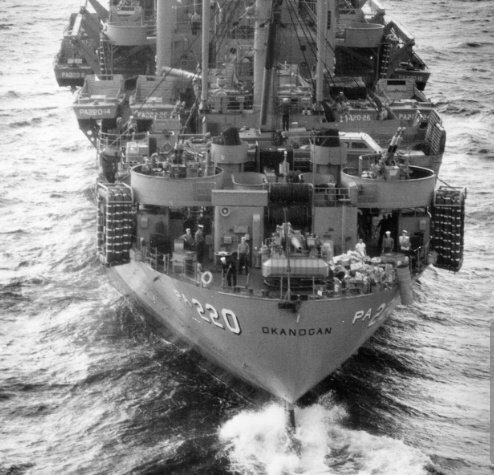 98k USS Okanogan (APA-220) under way, circa 1958. 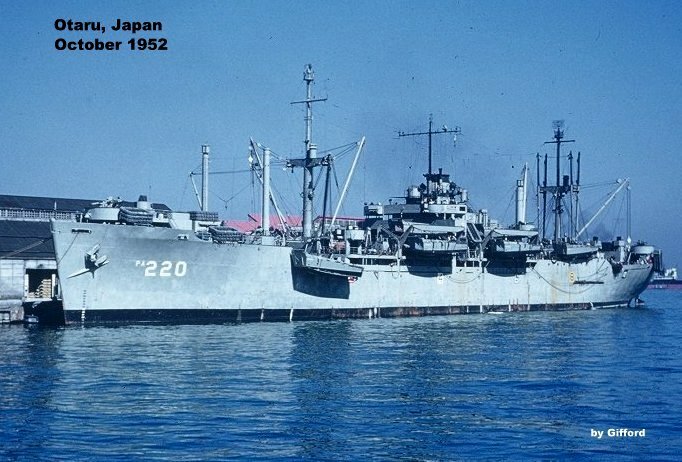 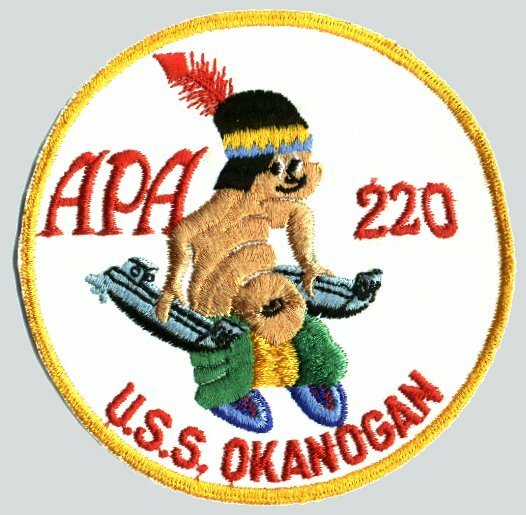 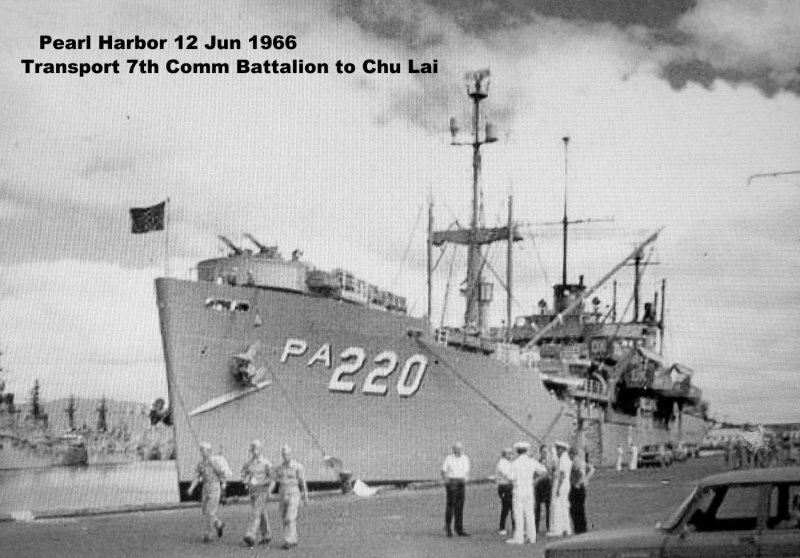 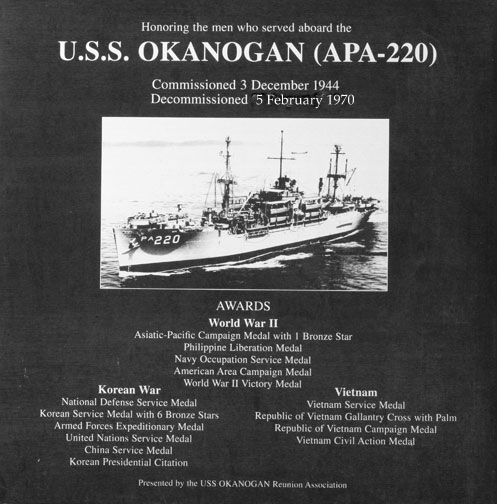 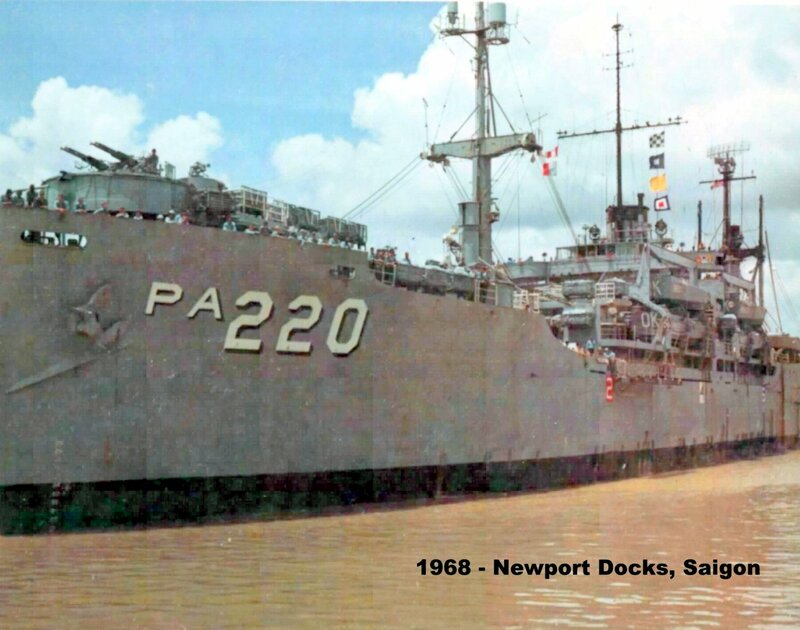 467k USS Okanogan (APA-220) transported Vietnamese art treasure to the United States in mid-1960. 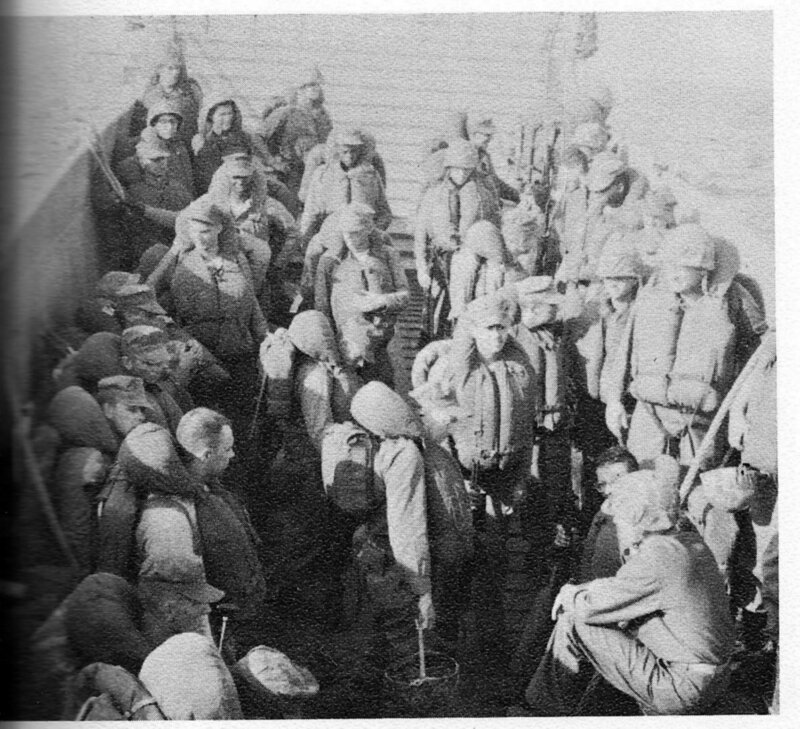 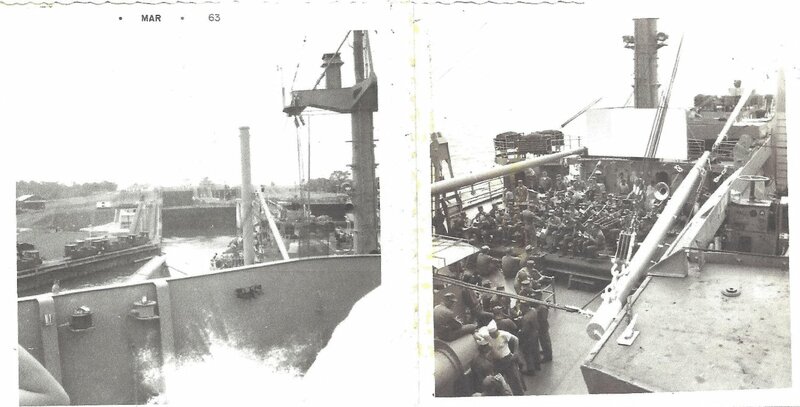 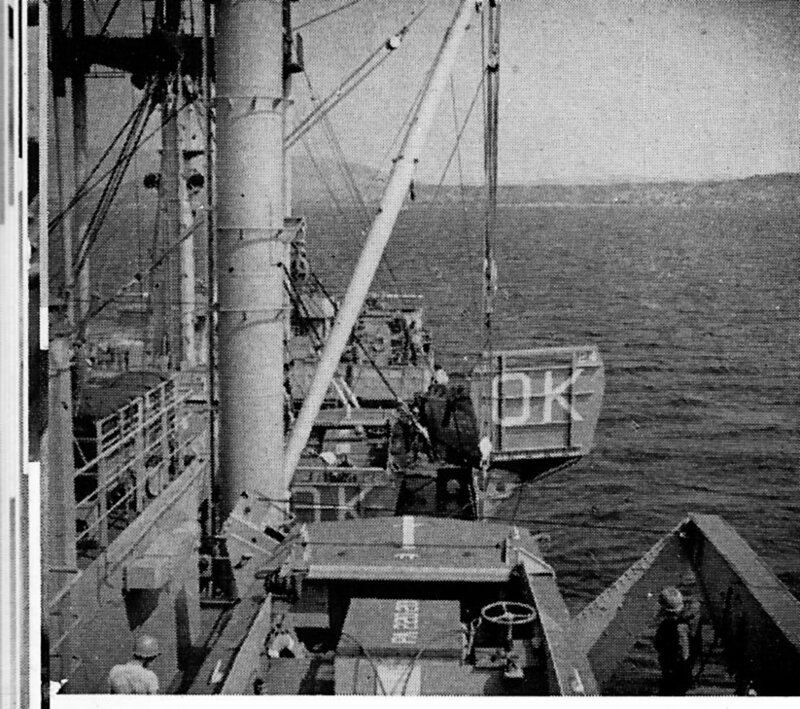 Photos by BM2 Eugene Watters - Ships Photographer. 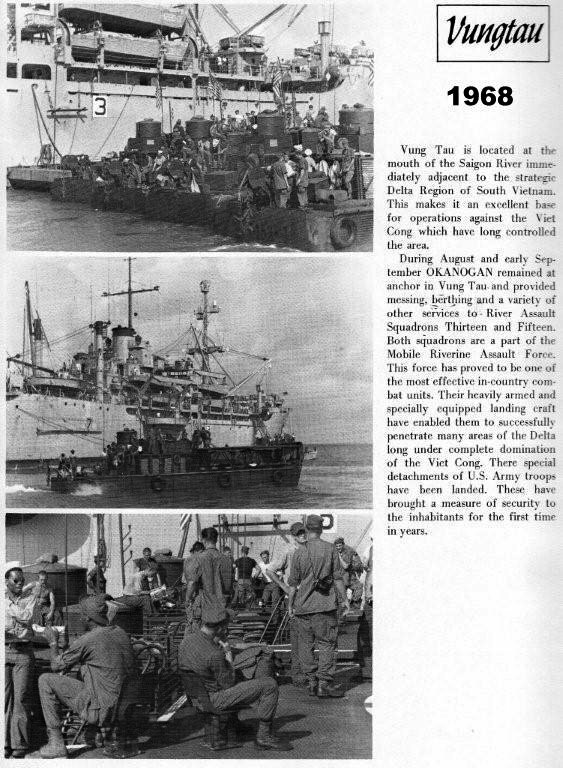 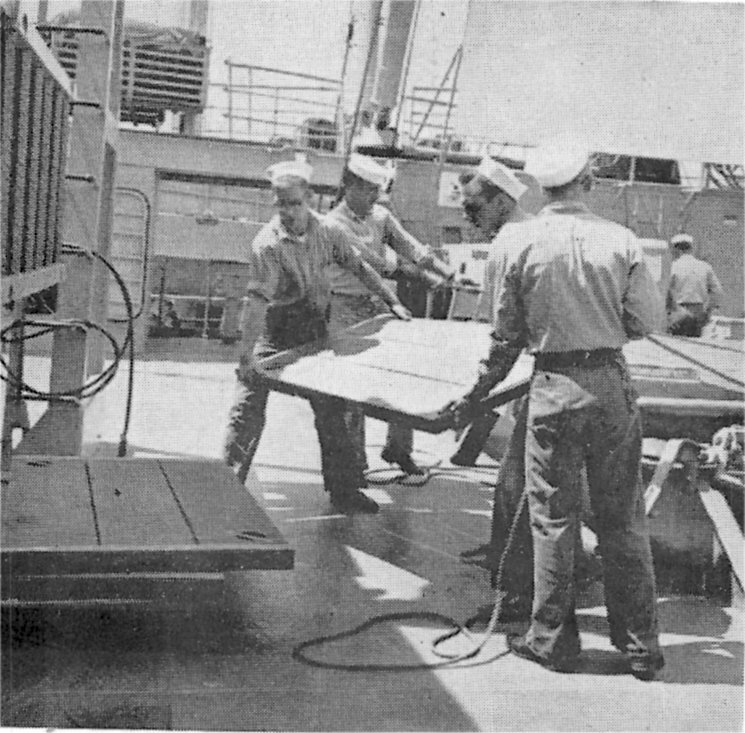 Newspaper Article - "Vietnam Art Objects Buffeted By Typhoon En route to U. S.
84k USS Okanogan (APA-220) under way, date and location unknown. 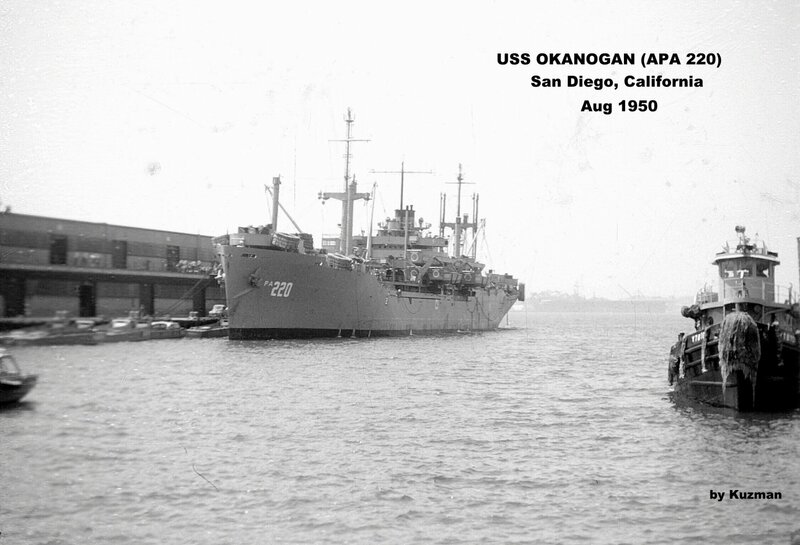 65k USS Okanogan (APA-220) outbound to sea off Point Loma, San Diego, CA. 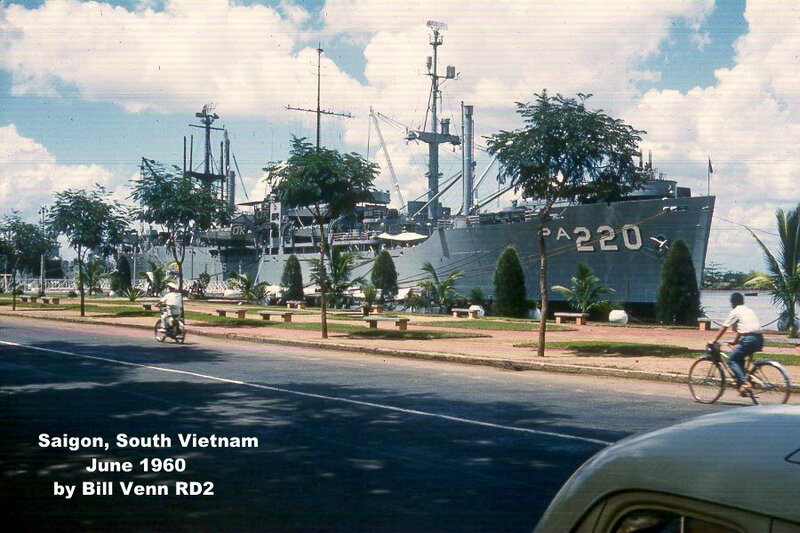 circa 1968. 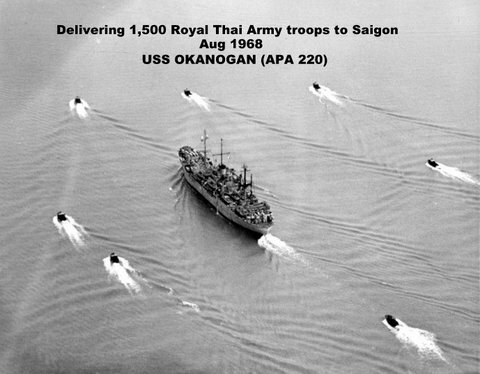 45k USS Okanogan (APA-220) under way in 1969, location unknown.